Target all type of nurses, including Registered Nurses, LPNs, NPs Mailing List and more. Why Buy Nurses Mailing List from InfoDepot? Can you provide solutions that can match and help the nurses? Are you looking for nurses with best decision-making capacity? Then InfoDepot will help you to reach your business goals with the best-registered nurses’ email list. The result of the database will reflect on your conversion and engagement rate. So, you can see your business growing rapidly, help you to on par with the lead standards. Therefore, we segment the Nurse Email List to improve the quality help in more accurate information about the leads. Our Nurse Email List is an all-rounder that will gel with the business ideals mandated in the sales program. A nurse is an important profession in the healthcare system. Also, they are a skillful bunch to achieve better patient outcomes and helping in the betterment of the world by improving the lifestyle and making it a healthy way to progress. However, using our Nurses Email List, you can meet professionals who help in shaping and quality of the healthcare system. They belong to the industry where they build a scientific and medical foundation for clinical practice, improved patient outcomes, and prevention. 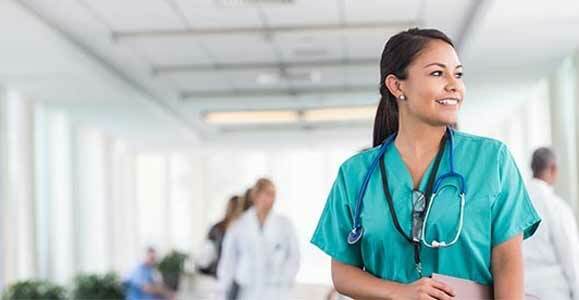 InfoDepot’s Nurses Mailing List will allow you to connect with nurses who are authentic and licensed. Our Nurses email list helps you quickly reach out millions of practicing nurses of all specializations who are available for your various needs related to the healthcare industry. The nurse’s data is a subject to continuous verification to ensure you only obtain a premium list. Therefore, it features up to date prospect data. The wide range of specialization enables marketers to target nurses based on hospitals, specialties, region, and much more. How InfoDepot Nurse Email Database Adheres to Your Business Requirement? The reform brought by the Affordable Care Act has caused an alarming shortage of qualified nurses. With the changing geographical areas of the healthcare sector, the rise in financial budget of services has come into a question. As a list provider, we understand the seriousness of the situation and hence have put our best to develop a well-researched and validated Nurses Email List that can cater to the market demands. Collected from authentic sources by a team of expert data scientists and researchers, our Nurses Email List will help you increase the response rate at minimal expenditure.